This humpback, affectionately named Morgan La Fey, almost ran straight into the boat, I could have touched him. The captain had to cut the engines to spare hitting him. Then Morgan decided to put on an incredible show. For perspective, here’s an accidentally surreal photo of people on the bow of the boat in the foreground and Morgan’s tail in the background (taken from the ship’s bar as I was, you know, working). 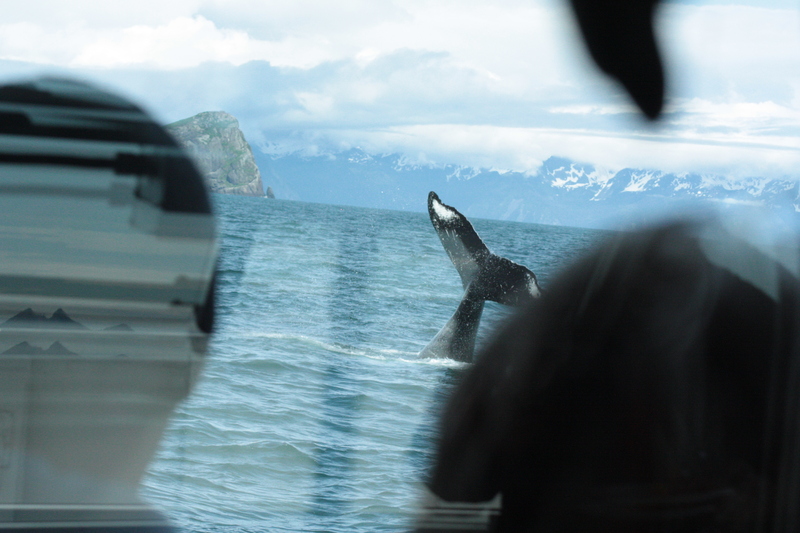 This entry was posted in Alaska, Deckhand, Wildlife and tagged humpback whale, Morgan La Fey, whale watching. Bookmark the permalink.